It's too late to keep the cultists from actually summoning some ancient evil into the world. The Investigators only have one chance to save the world. When that Great Old One shows up, they gotta shoot it in the face while they have a chance. 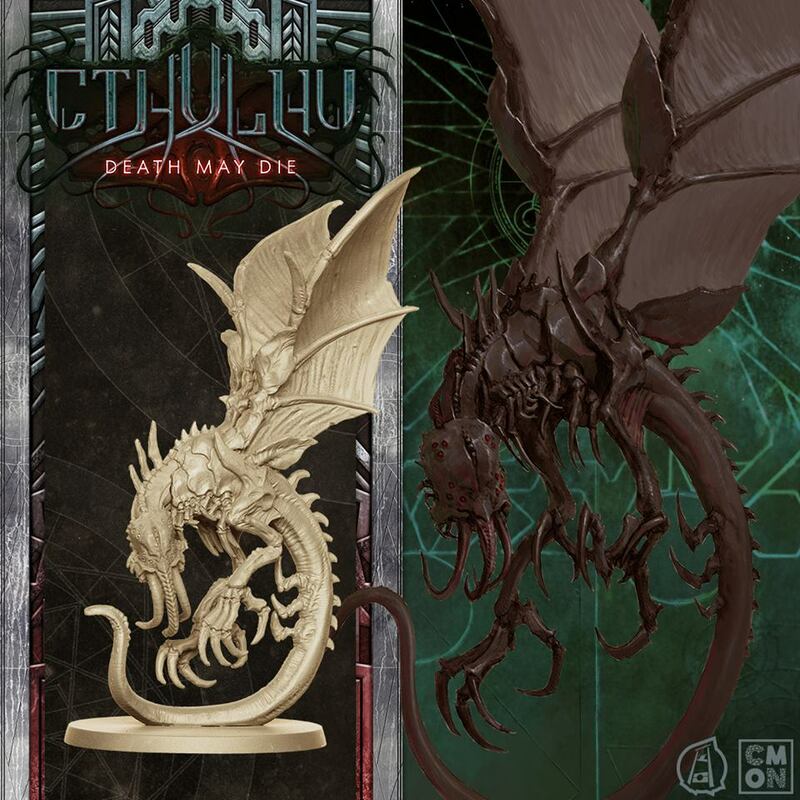 That's what's happening in Cthulhu: Death May Die, the new game coming from CMON. 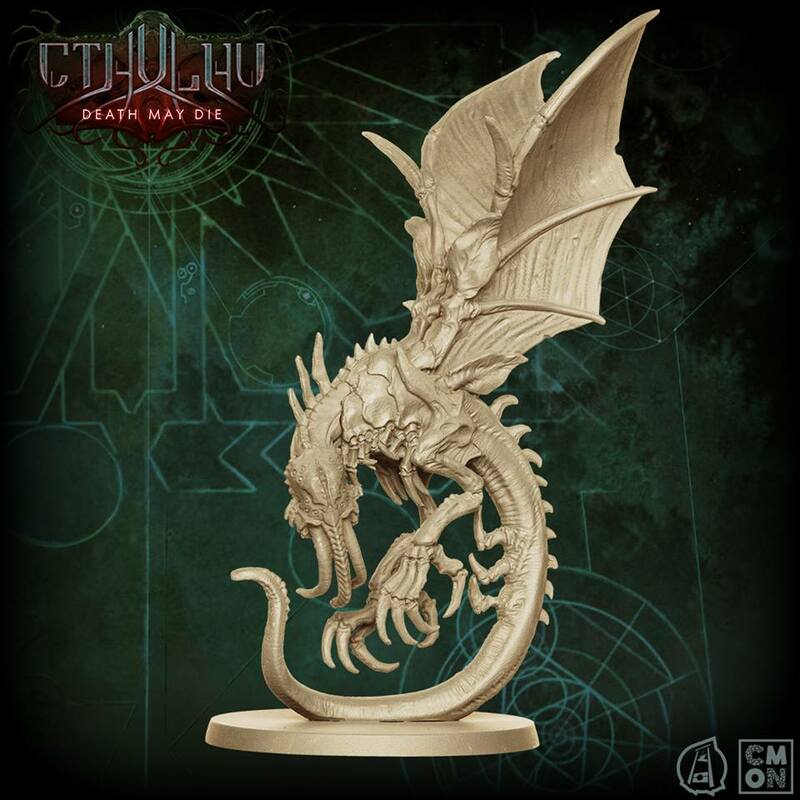 In this preview, we get a look at the art and render for the Hunting Horror mini. Not all inter-dimensional creatures crawl out of a hole in the ground. The Hunting Horror makes its attacks from above. If the Investigators are lucky, they may hear the flapping of bat-like wings before it's too late to react. 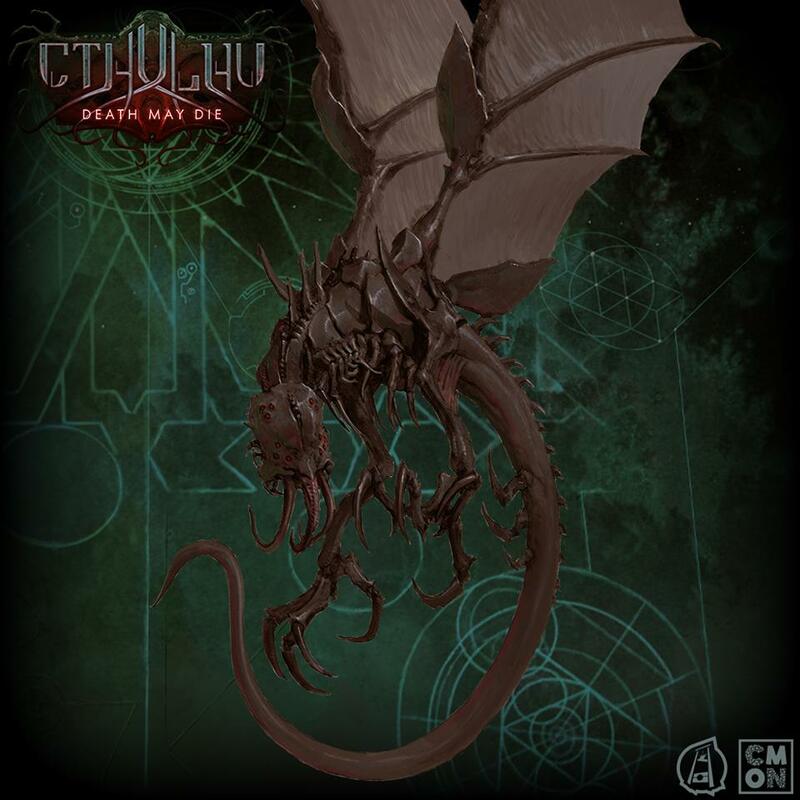 The Hunting Horrors will be make their presence felt when Cthulhu: Death May Die arrives on Kickstarter. Stay tuned for more updates.